Open House 4/14/19, 1pm-4pm. This is a rare opportunity to own a home in the desirable Fox Run Subdivision. 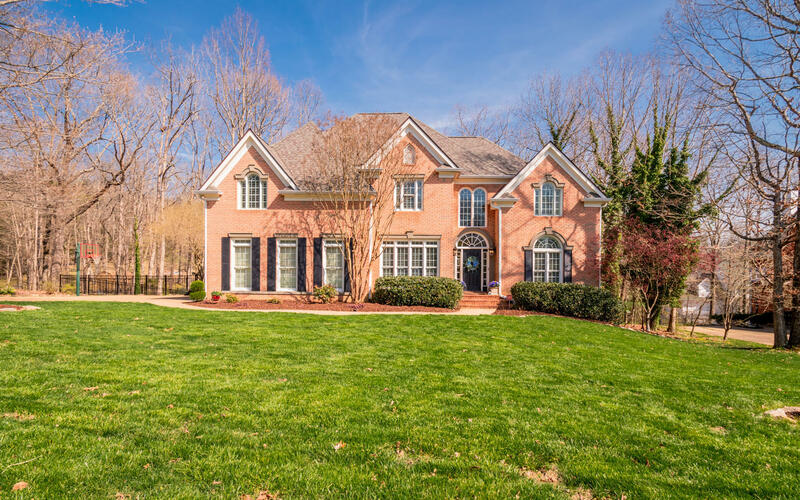 This beautiful 4 bedroom (possible 5th bedroom), 4 bath home is just minutes to the award winning Signal Mountain schools and 25 minutes to Downtown Chattanooga. No detail is overlooked and no upgraded finish omitted. Step inside to the grand 2 story foyer that will welcome your guests. There are beautiful hardwood floors, crown molding, plantation shutters, 3 fireplaces and many more features and updates throughout this home. The formal dining room is perfect for those special meals and entertaining. The office/study is just off the foyer. The great room with fireplace and custom built-in cabinets is spacious. New dimensional shingle roof installed in 2018. The living area has a cozy fireplace and plenty of windows that brings in plenty of natural light and is open to the kitchen which is perfect for family living and entertaining. The beautiful custom kitchen is a cook's dream with granite counter tops, top of the line stainless appliances that includes a gas cook top, and double ovens, island/breakfast bar and plenty of cabinet space. The breakfast area has large windows for viewing the private back deck and pool area. Back stairs are accessible off the breakfast area. There is a guest bedroom, full bath and laundry room that completes the main level. Step upstairs to the large master suite with fireplace, trey ceiling and 2 walk-in closets. The spa-like master bath is a true retreat with separate vanities, jetted tub and separate tiled shower. There are 3 additional good sized bedrooms and 2 full baths on the 2nd level. The back deck is perfect for relaxing and grilling out. Enjoy the warm months with the above ground pool and nice deck area. There is plenty of storage space in the 2 car garage and there is a utility garage in the basement which you access from the back of the home. This home has been meticulously maintained and is ready for new owners, make your appointment for your private showing today. SPECIAL FINANCING AVAILABLE ON THIS HOME COULD SAVE YOU APPROXIMATELY $6350 WITH THE ZERO PLUS LOAN, CONTACT AGENT FOR DETAILS.